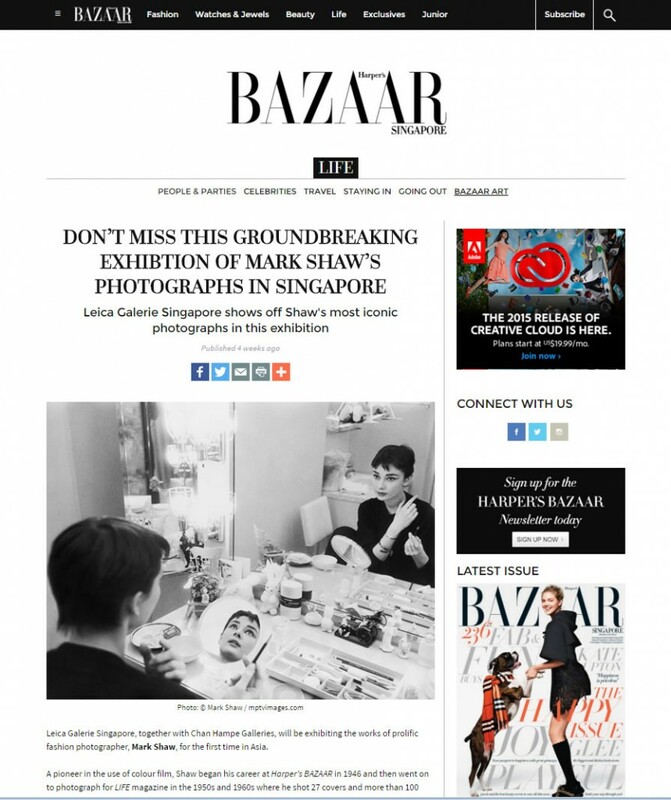 Leica Galerie Singapore, together with Chan Hampe Galleries, will be exhibiting the works of prolific fashion photographer, Mark Shaw, for the first time in Asia. A pioneer in the use of colour film, Shaw began his career at Harper’s BAZAAR in 1946 and then went on to photograph for LIFE magazine in the 1950s and 1960s where he shot 27 covers and more than 100 stories. His body of work spans images capturing intimate moments in the lives of celebrities to behind the scenes shots of some of the most high-end couture fashion shows. Read the full story at HarpersBazaar.com.